I normally plan the coming week's dinners on Saturday, trying to base the menu on grocery store sale items. 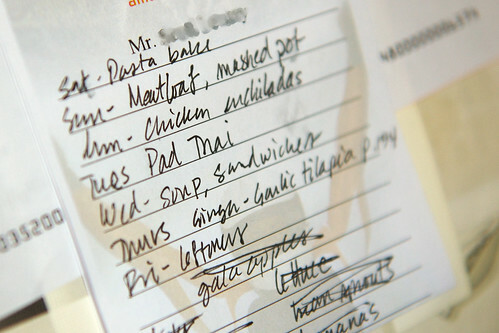 From the menu, I generate the shopping list and try to stick to it. I post the menu on the fridge (so that I remember what I'm supposed to make on any given night). Tonight's dinner - Chicken Enchiladas. 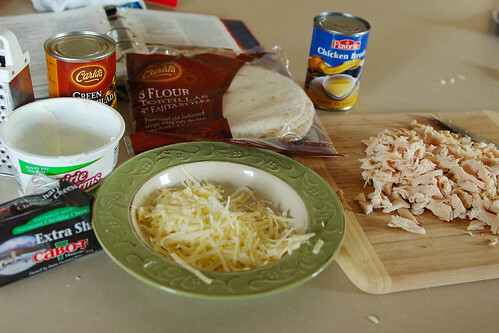 The chicken was on sale for $1.79 / pound, and many of the other ingredients are the store brands. A tasty dinner that the kids like. I always try to do the list thing, and yet I never do and always forget something. ;) Looks yummy! Mmmm--looks good! Great menu, too. 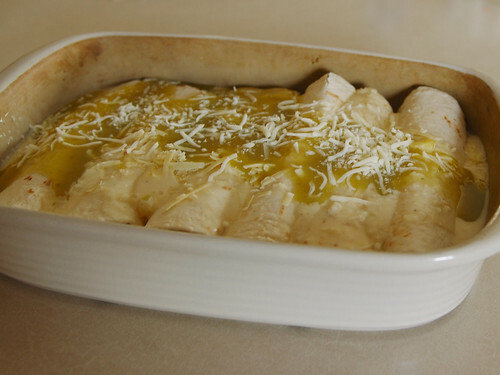 Your enchiladas are making me hungry! I use to shop once a week and use a menu. Now I'm lucky if I get two meals out of a trip to the grocery store. I need to get back to my organized, planning mode. Good for you :) You are so organized! The food looks yummy, too. Yummy - and hats off to you for sticking to it. We have tried this in theory - but it almost always gets derailed by the 'I'm not in the mood for that' blues sung by kiddo #2.